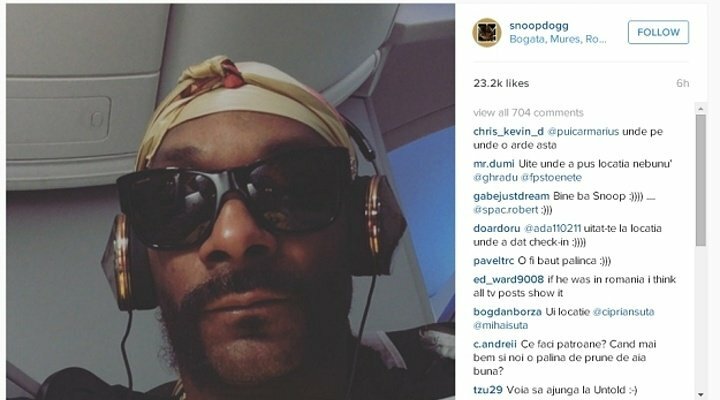 Home Tags Posts tagged with "snoop dogg"
Rapper Snoop Dogg has mistakenly promoted the Romanian village of Bogata by tagging himself there on Instagram. He posted an image which appeared to show he was in Bogata in the center of Romania. Snoop Dogg was actually one letter out – an extra A instead of an O – and more than 6,000 miles away in the Colombian capital Bogota. Bogata saw immediate interest with even a new website popping up. The website’s creators described it as “the perfect place to be if you want to relax in nature and take in all it has to offer”. Romanians got excited, thinking Snoop Dogg was in their country on a surprise trip. The new Visit Bogata website describes the village of 2,000 as the “best place for chillin’ in Romania”. There is a problem, though: there’s no hotel in the village, so visitors are advised to bring a sleeping bag. “The village is situated on the river Mureș, offering all that nature has to offer. You can camp there or even ask a villager for housing, if you feel like learning more on the location from its inhabitants,” the website said. If they get hungry they can feast on a twist of the famous Hungarian goulash. Bogata mayor Laszlo Barta realized Snoop’s tag confusion was a handy way to promote his town. Snoop Dogg is suing Pabst Brewing, saying the beer maker owes him money from the sale of the company and its beer line in 2014. In a lawsuit filed in Los Angeles, Snoop Dogg, real name Calvin Broadus Jr., is seeking 10% of the net sales paid to Pabst for its Colt 45 malt beer line in the sale. Snoop Dogg had signed a three-year deal to endorse the beer line in 2011. Under his contract, the rapper was to receive a portion of the sale of the brand if Pabst sold it before January 2016. The sale of Pabst to beer entrepreneur Eugene Kashper and investment firm TSG Consumer Partners was finalized in November, but no purchase price was announced. Snoop Dogg’s lawyer, Alex Weingarten, however, states in the lawsuit that the beer company was sold for $700 millio, according to AP. The sale price of the beer, called Blast by Colt 45, was not disclosed. The rapper had a payment of $250,000 for the contract and received another $20,000 for every 10th mention he made of the beer on social media, TV or during a concert. Pabst, the maker of beers like Old Milwaukee and Schlitz, said in a statement that it had not been contacted by Snoop Dogg or his representatives about the proceed claims. “We are investigating the matter and would be happy to talk to Snoop or his representatives to try to get to the bottom of this,” the Associated Press quoted the statement as saying. 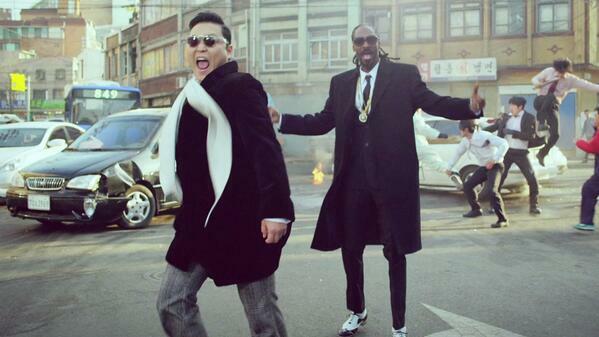 Psy decided switching genres would be his best bet for another hit with his latest single so he teamed with Snoop Dogg on the hip-hop track Hangover. The Hangover video, which debuted Sunday on ABC’s Jimmy Kimmel Live! and Psy’s YouTube channel, serves as a lesson in Asian hangover remedies. “This video is not about dance moves, but it’s about like culture exchanging,” Psy said. The South Korean pop star said Snoop Dogg signed on immediately after only hearing the song’s title. Psy signed with Justin Bieber’s manager, Scooter Braun, after Gangnam Style’s initial success. He said he appreciates Scooter Braun’s guidance and impressive drinking abilities. “He is the most strongest tolerance with alcohol among Americans,” Psy said. “People always comparing my new thing with <<Gangnam Style>>, which is unbeatable,” Psy said in a recent interview at YouTube Space LA. Gangnam Style recently surpassed 2 billion views, a record for YouTube. The South Korean pop star also holds the record for most views in a day with 38 million for his Gangnam Style follow up Gentleman. 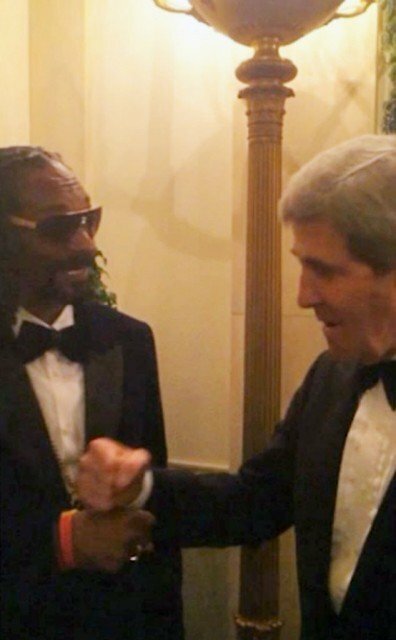 Snoop Dogg fist bumped with Secretary of State John Kerry during a party in early December hosted by the Obama Administration at the White House to honor the 2013 Kennedy Center Honorees. 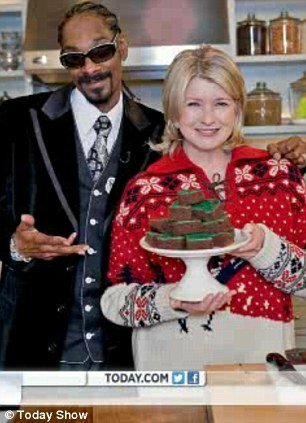 Martha Stewart has revealed on Today Show how she struck up her unlikely friendship with Snoop Dogg by baking brownies together. Martha Stewart was chatting with Today Show hosts Natalie Morales and Willie Geist about how “tight” she and Snoop Dogg are – reminiscing about their joint appearance on her Holiday show in 2009 when they made up a batch of “green” Christmas-themed brownies. In a now famous cooking skit Martha Stewart and Snoop Dogg performed together, making up a batch of the delicious chocolate cakes that have become synonymous with cannabis culture. Martha Stewart humored the hip hop star by asking what the most important ingredient for a brownies made by Snoop Dogg would be. “He wants green brownies. Brownish green brownies,” said Martha Stewart. “The greener the better!” replied Snoop Dogg. In 2008, Martha Stewart and Snoop Dogg tried their hands at making mashed potatoes – with Snoop questioning why she was using an electric blender to make the mash and not by hand. On her blog, Martha Stewart posted how Snoop Dogg “taught me some of his very own language called Snoop-guistics”. 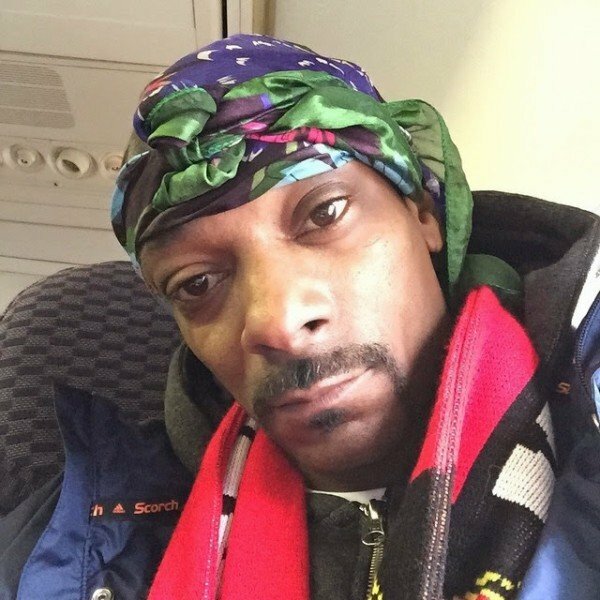 Rapper Snoop Dogg has been banned from entering Norway for two years after trying to enter the country with a small amount of cannabis last month. Snoop Dogg, 40, was held at Kjevik Airport while on his way to a music festival, when customs officials found he was carrying eight grams of the drug. His lawyer said the rapper had no immediate plans to appeal against the ban. Snoop Dogg could “live with the decision”, he added. 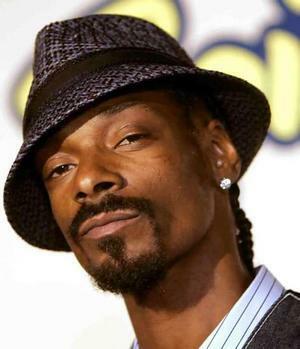 Snoop Dogg, whose real name is Calvin Broadus, was also found at the time to be carrying more cash than is legally allowed in Norway and was fined 52,000 kroner after admitting the two offences. He went on to perform at Norway’s Hove Festival. In January, Snoop Dogg was arrested in Texas after border agents found cannabis on his tour bus. He was later released with a caution. Snoop Dogg is currently on tour and is expected to appear at the Catalpa Festival in New York on Sunday.